UPM visited TECMA (International Town Planning and Environment Trade Fair) held in Madrid, 13-15 June 2018 with the aim of knowing the latest developments on environmentally friendly materials, materials that could be used to manufacture support trays for growing aquatic macrophytes as floaters. In TECMA, UPM had the opportunity to contact Eng. P. Palha at NEOTURF, a partner in the project Green Urban Living that is developing new insulating systems for green covers and green facades, based on cork chipboards. 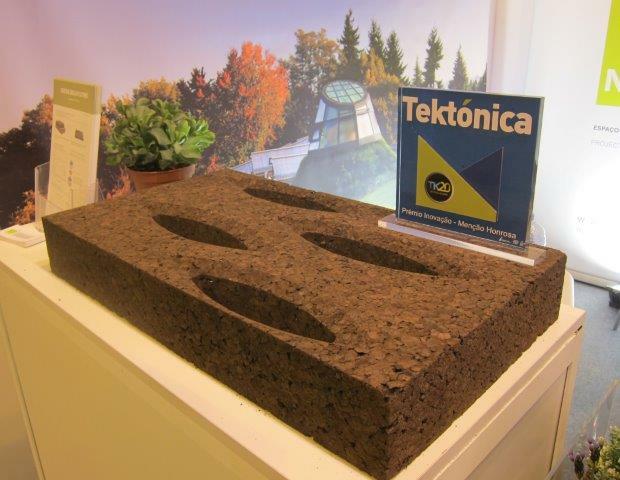 NEOTURF presented novel plates made up of residual cork for insulation of green covers in their Fair stand. This type of plates could be re-designed as perforated plates of thinner thickness if required, in order to be tested as support trays for Green Floating Filters (GFF).